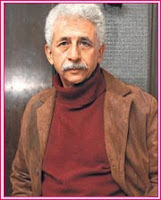 Naseeruddin Shah did his schooling at St. Anselm´s Ajmer. 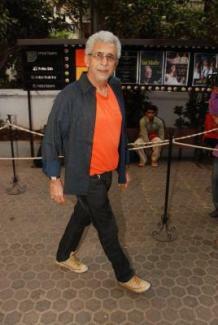 He graduated in arts from Aligarh Muslim University in 1971 and attended National School of Drama in Delhi. Shah has been one of the few actors who has managed to balance a career in both mainstream and alternative cinema. 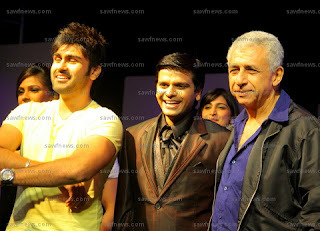 In fact he has also been a part of international films like the The League of Extraordinary Gentlemen. Shah’s first claim to fame was the 1980 film Hum Paanch. His next major success in mainstream films was the 1986 multi-starrer film Karma where he acted alongside veteran Dilip Kumar. In 1988 he played Inspector Ghote in the prestigious Merchant-Ivory English language film The Perfect Murder. 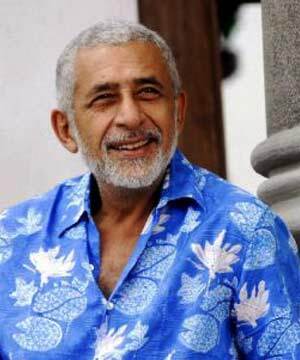 Later, he starred in international projects such as Monsoon Wedding in 2001 and a Hollywood comic book adaptation The League of Extraordinary Gentlemen in 2003 alongside Sean Connery where he played the role of Captain Nemo. He was most recently seen in A Wednesday. 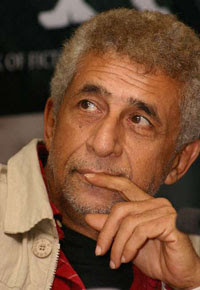 He also made his Pakistani film debut in the critically-acclaimed and controversial film Khuda Ke Liye.